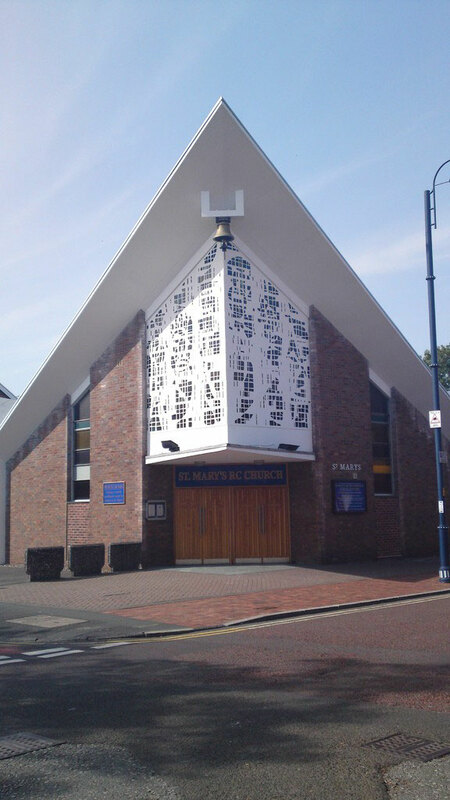 St Mary's Parish House is immediately adjacent to the church, along Duke Street. St Mary's Parish Centre (newly refurbished and extended in 2011) is adjacent to the church along Market Street. It is used for many of our meetings, and also for refreshments after 11 am Mass on Sundays, and for a coffee morning open to all on Fridays from approx. 8.30 am. It is also available for some social functions (for example, Baptism or Funeral Buffets, or even smaller Wedding Receptions). 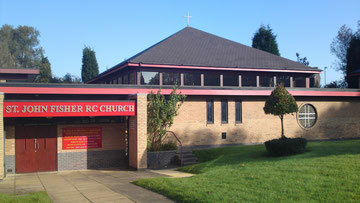 The very spacious and refurbished St John Fisher Parish Centre forms part of the same premises as the Church, and can be accessed separately from the car park and entrance at the rear of the building. The Parish House is adjacent to the Church, and we are pleased to accommodate there the Judicial Vicar and Chancellor of the Diocese, Father Christopher Dawson. The Map below indicates the locations of our Churches: M34 2AN and M34 7WN are the postcodes for Sat Nav users.